Opti-coat offers superior chemistry to the other coatings on the market. 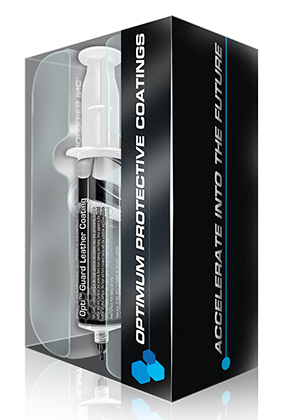 Opti-coat is a silicon carbide (SiC) based coating system which bonds to the resins in modern clear coat. Most other coatings are silicon dioxide based (SiO2). The main difference in the bases is that SiC will cross link with resins in the clear coat forming a permanent bond meanwhile SiO2 coatings are usually suspended nanoparticles that will sit on top of the clear coat. Opti-Coat is manufactured by Optimum Polymer Technologies. Optimum was founded in 2001 by Dr. David Ghodoussi, an Organic Chemist, who prior to starting Optimum worked in the automotive paint industry for over a decade. Dr. Ghodoussi saw the need for a change in the way we take care of modern paint and has designed a full system based on a user-friendly, safe and environmentally conscious approach. Optimum Car Care Products and Opti-Coat are all manufactured here in America in Optimums facilities based in Memphis Tennessee. Opti-Coat has 3 different Professional Paint Specific coatings in Paint Guard, Opti-Coat Pro and Opti-Coat Pro Plus available through authorized dealers as well as a few other substrate specific professional coatings such as Opti-Guard for Fabric and Leather, Opti-Glass Pro and Opti-Metal Pro. McSteamies Auto Spa is not only an authorized dealer but we have taken the steps to become an Opti-Coat Certified Authorized Dealer. Our Certified Installers have been trained directly by Opti-Coat to professionally apply Opti-Coat Pro Coatings. Protect Your Investment With Paint Guard! Opti-Metal Coat has a rapid curing process to prevent absorption and premature failure on porous metals. The ceramic resin solidifies on and within the upper surface shielding from oxidation. Due to the silicon carbide structure, the resin is not removed during cleaning and the metal surfaces are protected from chemicals that would otherwise etch and damage the metal finish. Opti-Metal Coat is specifically designed for bare material substrates. Opti-Metal Coat will protect non-clear coated aluminum, brass, chrome, and other highly polished metals from tarnishing, oxidizing, and keeps the high luster of the polish.